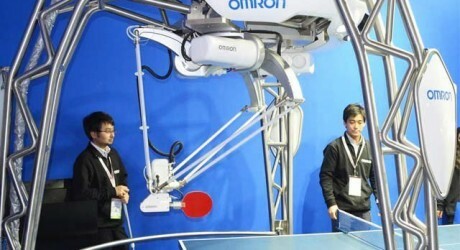 Tokyo, The Japanese company has manufactured a modern robot and it can be called to teach the table tennis to the immature players. This robot teaches the table tennis to the players and it changes its position by looking at the opposite player and it also gives the useful advice to the players to make him mature table tennis player. This robot was launched in Satanic Electronics Show in Japan in 2014 for the first time and the artificial intelligence software in this robot is improved and this robot is prepared to analyze the sensor technology of the company. 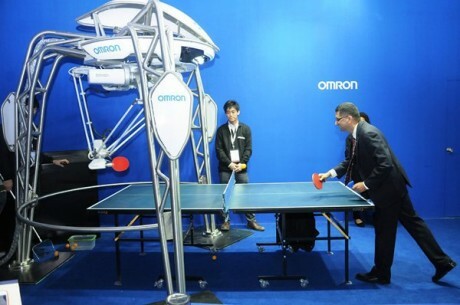 The Guinness Book of World Record has awarded the certificate of first table tennis coaching robot of the world. Robot watches at the human player skillfully and it plays the stroke according to his movement. It also notes the speed and direction of the ball and it can understand the human game with 90% accuracy. If the player is immature and new, then it plays slowly and if the player is mature and skilled, then it plays in such way that nobody can forecast its unexpected attack. There are two sensors in this robot, which works like heart and mind and the third sensor notes the movements of the opponent player. This robot is also equipped with a modern ball controller to note the movements of the ball one thousand times in one second. It shows its reaction and it plays the stroke. This robot is also equipped with software having the artificial intelligence and it gives the training to throw the ball on the right direction, which accurate to 5mm. The whole scene is appeared on its screen and the under training players can watch it and they can do their training. The engineers working on this project say that this robot is now learning and it gives the training to the human players and after 20 years, it will give training to its fellow robots.